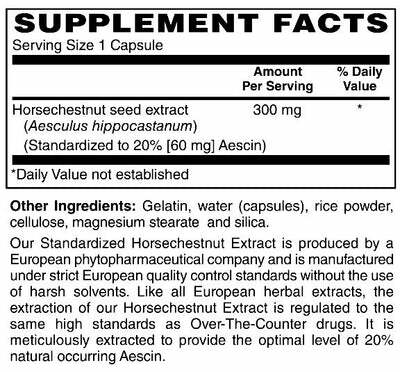 Horsechestnut Extract comes from the bark, seeds, and flowers of the plant Aesculus hippocastanumalso, more commonly known as the Buckeye, or Spanish Chestnut. How does Horsechestnut Extract support health? Contributes to healthy blood circulation. Supports proper platelet activity and often used to prevent clotting. Promotes prostate and cardiac health.